Oceanside Homes, Condos and Manufactured Homes For Sale. Don't Expect to get back ALL that Money Back You're about to Put into Upgrades. is more than likely Not the thing to do in some respects. There are many websites on-line that will tell you if you spend X amount of dollars on re-doing your bathroom for example, you will receive a certain, sometimes greater, percentage amount back which is not always correct. Those figures may be somewhat dependent on areas that you do not live in. Now this is not saying if you have a cracked bathtub, an oven from the early 1900's or the front yard fence needs repair and paint; of course those items need to be addressed. the home twenty years ago, and the paint or varnish is pealing. It's important to understand that many home buyers are going to do their own remodeling when they move in. If you are dead-set on going to do any type of remodel, always look at the kitchen first, as this will probably be the best for your return. Now this doesn't mean a complete rebuild. You can repaint the cabinets, replace leaky faucets, add updated hardware, and if needed - change out dated light fixtures. Simply do the obvious repairs and paint where needed in your home (always Neutral or Off White - Never White). Remember that the buyer will have an inspection done on your home. This could lead to items that must be repaired prior to the sale of your home. Save your money for that! Your best bet is to have one of our experienced and seasoned Real Estate Agents at PIERVIEW PROPERTIES Real Estate walk the home with you and give you their professional advice, as this is the person that will be working with potential buyers. Why You Should Just Say "NO To a FSBO"! The National Association of Realtors’ (NAR) 2018 Profile of Home Buyers and Sellers was just released, and their data further supports this claim. The number of homes sold by owner decreased in 2018 to “the lowest share recorded since this report started in 1981.” Just seven percent of home sales were logged as an FSBO. This is likely due to: fewer homes being listed FSBO overall; and homes listed FSBO not selling and ending up, ultimately, with agent representation. “The median age for FSBO sellers is 55 years.” Could this be a factor of people thinking they have enough life experience and knowledge to play real estate agent? 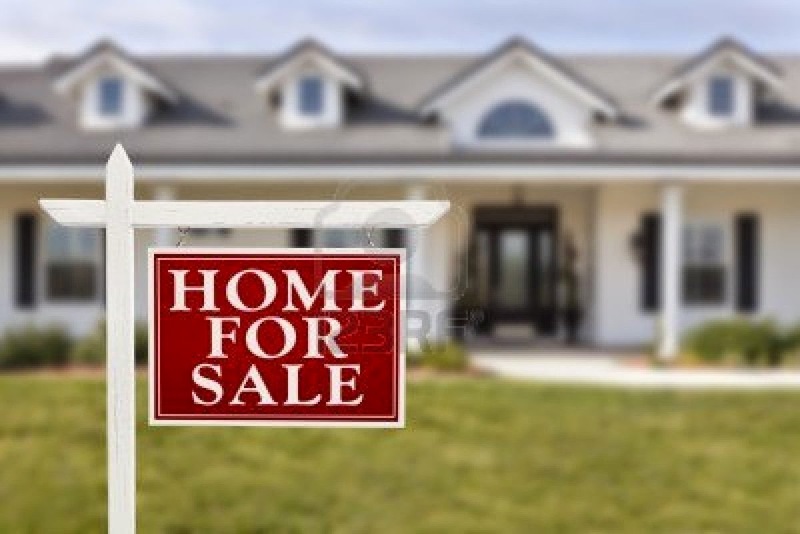 “Seventy-one percent of FSBO sales were by married couples that have a median household income of $98,800.” Regardless of marital status or income, it’s not a stretch to say that those who opt to try to sell their own home are doing so to try to save some money. However, “FSBOs typically sell for less than the selling price of other homes; FSBO homes sold at a median of $200,000 last year (up from $190,000 the year prior), and signi?cantly lower than the median of agent-assisted homes at $264,900.” While it’s not possible to make a straight-up comparison between the $200,000 and $264,900 number, that is a GLARING difference. Manufactured Homes vs. Mobile Homes? Prefabricated homes are becoming a popular choice for home buyers. A manufactured home is a type of prefabricated housing that is mostly assembled in a factory and then transported to the site where it will be used. A mobile home is a prefabricated structure built in a factory on a permanently attached chassis before being moved to a site. These two types of homes are similar in the fact that they are both prefabricated and they both come with VIN numbers. However, these homes also share some significant differences that should be understood in order to best fulfill your housing needs. One major difference between a manufactured home and mobile homes are the building standards. In 1976, a new construction standard was issued for prefabricated housing. Manufactured homes are built to this standard while mobile homes are not. Manufactured homes are now built in two to three sections and moved onto a property where they are to be attached and become one large home. They are also meant to be placed on some type of foundation. A mobile home, however, is intended to stay on the wheels it is moved onto the site with. A manufactured home actually looks like a traditional home. They can be multiple stories and come in a variety of options. A mobile home does not come with the appearance of a traditional style home. The options for financing are also different because a manufactured home is considered real estate property after assembled. Therefore, it qualifies for the Federal Home Mortgage Corporation Assistance program, meaning it can qualify for a typical mortgage just as traditional homes do. A mobile home, however, is treated like financing a car and typically requires special financing. Prefabricated homes are a great option for many families. They come in many styles and can be built in much less time than building on-site. Since financing options, building standards, and appearances are different, it is important to understand what each type of housing can offer. Knowing the difference between a manufactured home and a mobile home is vital in making the best decision for your family’s needs. Oceana, in Oceanside CA. is a beautiful active 55 Plus Community in North San Diego County situated just 4 miles from the ocean and 275 feet above sea level, where it enjoys a near perfect climate that blends the hotter inland areas with cooler ocean breezes. included in larger sections such as Oceana South, Oceana East, Oceana Mission, Oceana Real and Vista Oceana. Each section of the community enjoys their own clubhouse with outdoor pool and spa, exclusively for residents of the Oceana neighborhood.